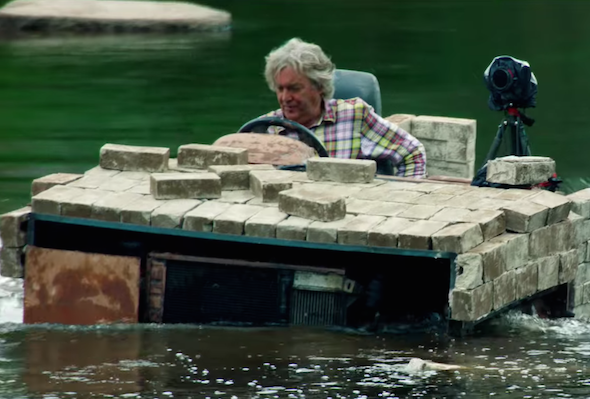 Clarkson, Hammond and May are back in Whitby for the fourth episode of their new adventure, and they’ve absolutely killed it on this latest outing. Quite literally in Clarkson’s case – he had to kill an entire farm to make his car! Even if some people have claimed that the show got off to a bumpy start (especially after its second episode), the latest instalment just proves how brilliant these three can be and what they achieve thanks to their chemistry: good fun, banter and car disasters. The main theme of this episode centres on the men creating new cars by replacing most of their parts with sustainable materials, to then test them and see if they worked (spoiler alert: not really). Read the rest on Loaded.